Florida State University junior Reannan Riedy and senior Brooke Garringer are busy crunching research data and preparing to reveal their findings at a national conference. 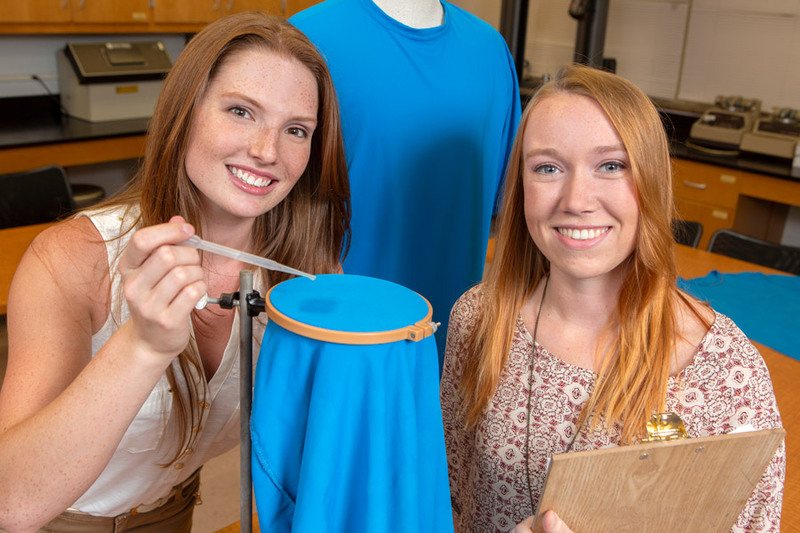 The invitation to present their textile research to members of the National Fire Protection Association is an invaluable opportunity for Riedy and Garringer, both retail entrepreneurship majors, and a rare one for undergraduate students at any university. They are among a growing number of FSU undergrads taking advantage of research opportunities that provide the kind of experience employers want. 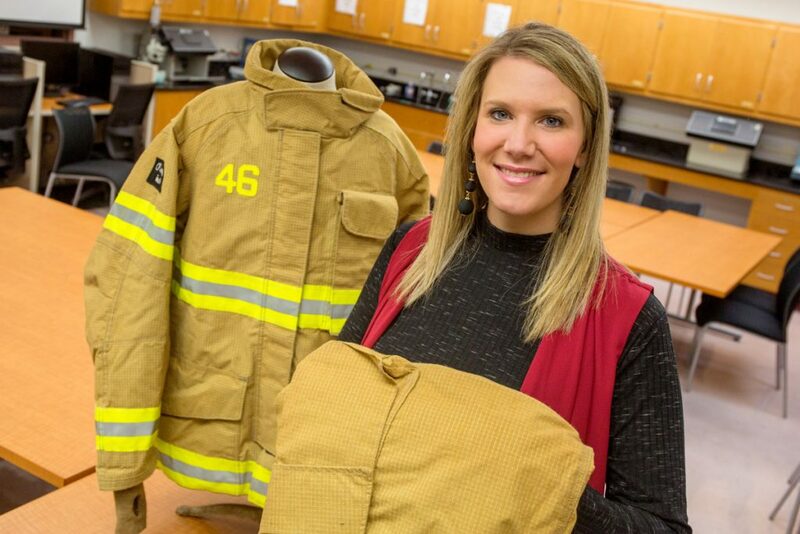 Riedy and Garringer’s latest research, focusing on the pros and cons of certain firefighting uniforms, will put them in the spotlight at the association’s annual conference in Las Vegas the week of June 10. All undergraduates at Florida State are eligible to participate in research, but the university’s Undergraduate Research Opportunity Program makes it easier to get involved. In the 2017-18 school year, the program selected 325 students for research projects. They collected and analyzed data, gained hands-on knowledge and, most importantly, built confidence for a career. Garringer changed majors from exercise science to retail entrepreneurship because she thought a retail track would put her in a better position to land a good job. The decision has already opened doors. This spring she earned an opportunity to tour the corporate headquarters of Under Armour in Baltimore. The experience helped her make new connections and showed her she had the right training to succeed as a retail professional. 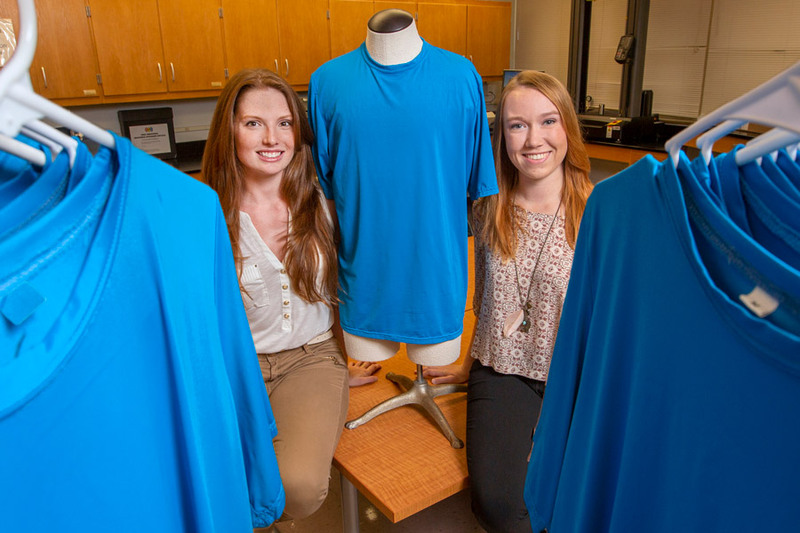 Over the past year, Garringer and Riedy have gotten a lot of hands-on experience as research assistants in the Textile Testing Lab, directed and supervised by Meredith McQuerry, assistant professor of retail entrepreneurship. The students have measured the heat-venting capabilities of firefighting suits, analyzed the effectiveness of firefighting gear equipped with magnetic closures and tested the durability of T-shirts outfitted with advanced cooling technology. Garringer and Riedy examined whether the PCM cooling technology deteriorated or shifted in the fabric. One important part of the durability study was led by Riedy. She wanted to see clear, visual evidence of whether the T-shirts’ technology, called “phase-change material” or PCM, would be affected by 50 laundry cycles. It was a great practical question, and the clothing manufacturer also wanted the answer. 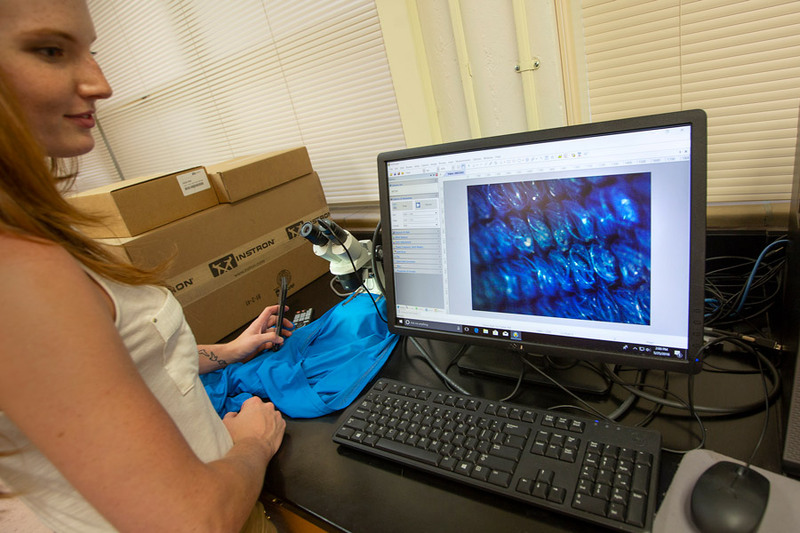 So Riedy partnered with the FSU-headquartered National High Magnetic Field Laboratory to examine the PCM shirts under a microscope. 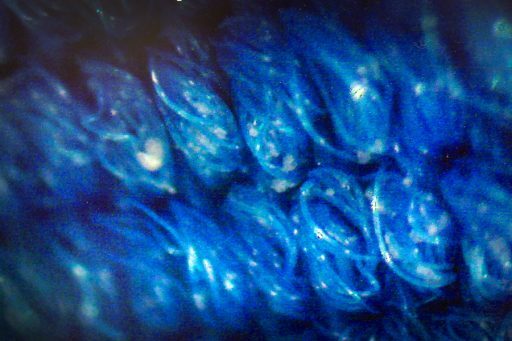 Over the course of 50 wash cycles, Riedy captured many pictures of microscopic PCM cooling capsules, embedded in the fabric, and documented any deterioration or shifting. She and Garringer are looking forward to presenting their findings at the conference in Las Vegas, and then they plan to publish a research paper with McQuerry’s help. All of this lab experience has helped Riedy clarify her career plans in the retail industry. Now, she knows she wants to work in product development, especially related to protective clothing for first responders. Developing a clearer vision for career paths is a common outcome for students who work in the lab, according to McQuerry, who recently won FSU’s Undergraduate Research Mentor Award for 2018. She enjoyed working with Riedy and Garringer so much, she hired them as part-time research assistants. McQuerry said their motivation and enthusiasm for the work has made her proud. Estimates show nearly 20 percent of FSU undergraduates participate in research, and these opportunities make the university stand out in higher education. The Council on Undergraduate Research, a national nonprofit educational organization, has recognized Florida State’s program as among the best in the nation. Editor’s Note: FSU’s Undergraduate Research Opportunity Program is accepting research proposals from faculty, postdoctoral and graduate students, as well as other campus and community partners. The deadline to submit a proposal is Aug. 10. For more information, visit the project submission portal.